Jen graduated with her degree in dental hygiene from NHTI in 2005. She educates patients on how to improve their oral health and overall health while creating a positive, low-stress experience. Jen stays current on the latest technology in the dental hygiene field and is certified in administering local anesthesia. 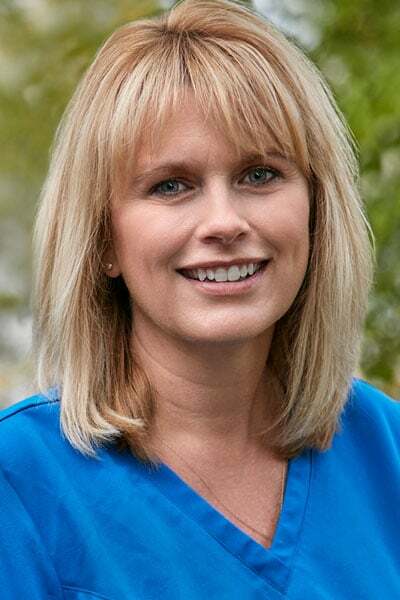 Jen has been working with Dr. Rosato since 2008, and she values working with a doctor who cares so much about her patients and promotes continuing education with her staff. Jen loves spending her free time with her husband and two children. She also enjoys yoga, reading, and vacationing in South Carolina with her family during the summer.